Featured Image: Dare to wear a sheer black dress like this one, worn by Izortze Setien. Dress: H&M. Jessi Webb wears an edgy pair of gladiator-style heels with a leather jacket and cute brown skirt. Krystal Faircloth makes a statement with this chic snakeskin bag. Annabelle Fleur rocks the metallic trend with this studded bag and chain-detailed ankle boots. Boots: Givenchy, Bag: Saint Laurent. Jess A. wears a gorgeous vintage foulard with her camel coat and black jeans. Bag: Celine, Foulard: Model’s Own, Rings: Apart. 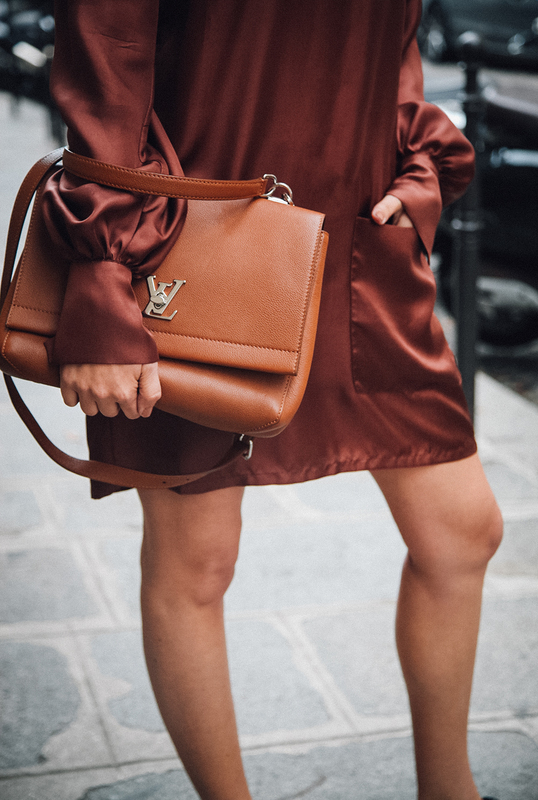 Rue Chateubriand accessorises her rust coloured outfit with this gorgeous Louis Vuitton satchel. Dress: George Jensen, Bag: Louis Vuitton.